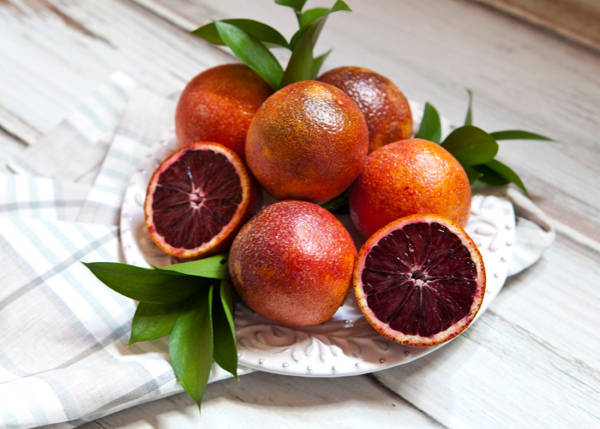 I must confess that I am presently obsessed with blood oranges. 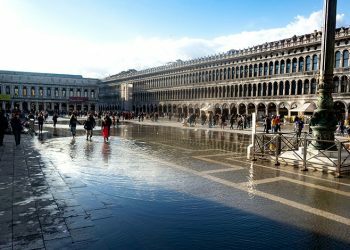 The very first time I experienced blood oranges was during our eight-year stay in Milano where I discovered them at our local outdoor market. I was amazed at the vibrant crimson color and bright, sweet flavor. From that very first taste, I fell in love, and throughout the years since, I buy them whenever they show up at the market or stores which is usually late winter. Blood oranges have finally arrived in our local stores, and I am taking full advantage of that fact. This past month, every time I visit my local grocery store, I buy a bag of these vibrant colored oranges to use in recipes, in my raw juices, or to simply enjoy as a snack. I recently had friends over for pizza night and wanted to create a light dessert to finish off our meal. 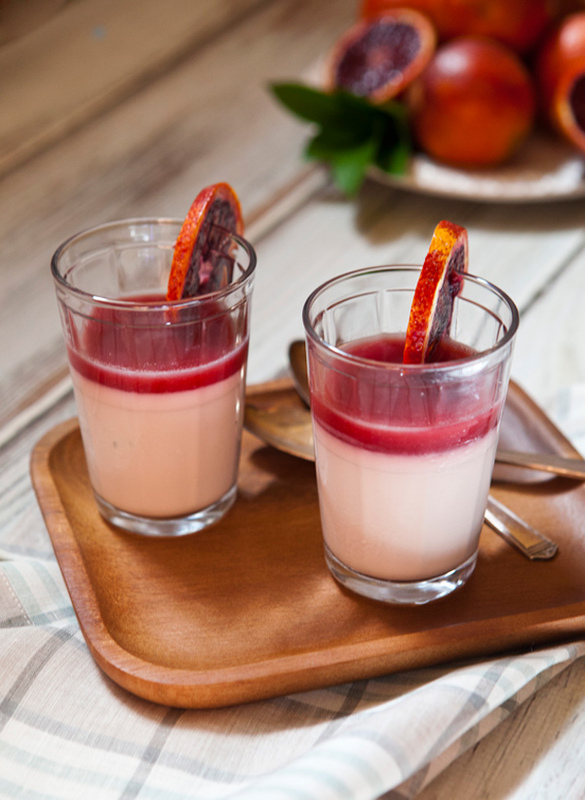 Panna cotta is a great option when entertaining because it needs to be prepared ahead of time which allows you the time for other preparations. A good panna cotta should be creamy and light, and though it needs to be set, it should have just a little wobble when finished. 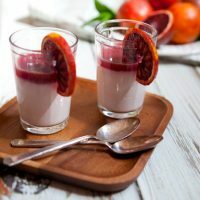 I used some of my blood oranges to both flavor the creamy pudding, as well as to create a syrup that I used to top of my panna cotta before serving. 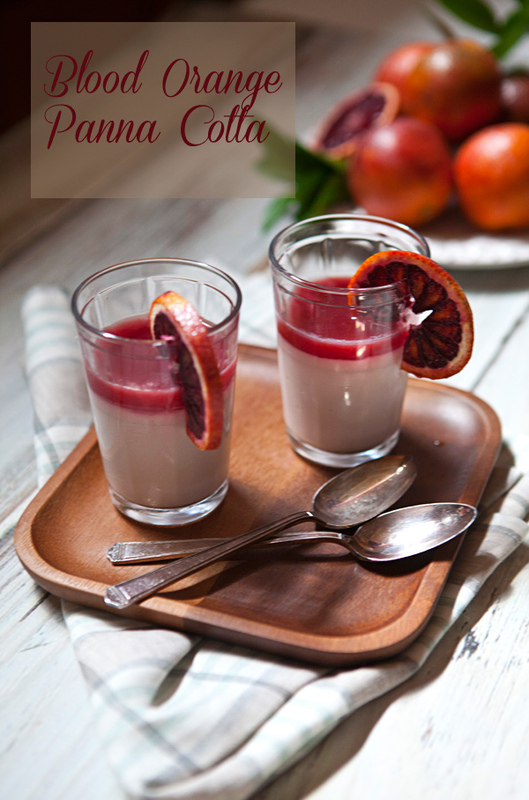 The oranges I used in this panna cotta were unusually dark in color so my panna cotta ended up a lovely pink color. If your oranges are not as dark as mine, your dessert will be just as flavorful even if the final product is lighter in color. Place the orange juice in a small bowl and sprinkle the gelatin over the top. 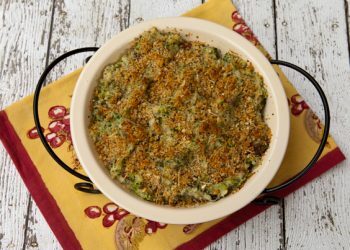 Stir to mix, and set aside to soften 2 to 3 minutes. Place 8 small glasses on a baking tray. Half-fill a large bowl with ice and add enough water to make an ice bath and set aside. In a small saucepan, combine the cream, milk, sugar and blood orange zest, and bring to a simmer over medium heat. Remove from heat, and whisk in the softened gelatin and the orange extract. Set the saucepan in the ice bath, and whisk until the mixture is at room temperature. Strain the mixture into a large measuring cup or bowl with a pouring spout. Place the bowl in the ice bath and allow to cool to room temperature. Pour the mixture into the glasses and chill at least 6 hours or overnight. 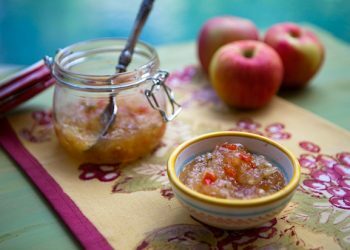 To make the syrup, stir all ingredients in heavy medium saucepan over medium heat until sugar dissolves. Increase heat to high, and boil until syrup is reduced to 1 1/2 cups, stirring often, about 20 minutes. 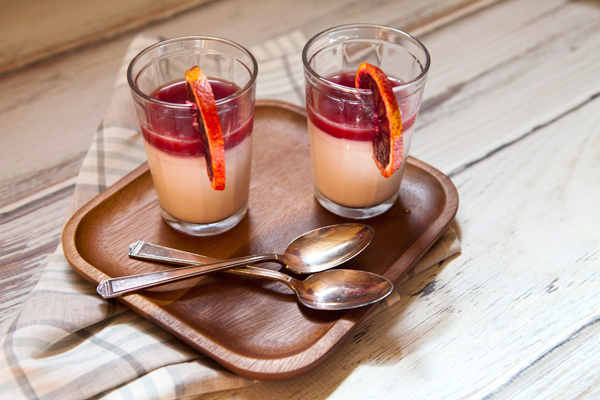 Before serving, pour some of the blood orange syrup on top of the glasses. 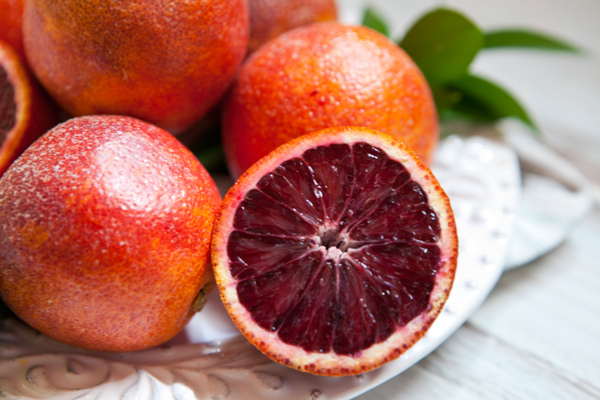 I am also amazed by blood oranges. 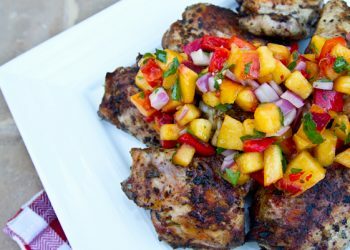 Just like you, I really like the sweet flavor it gives out and it really is a good ingredient to some of my recipes. 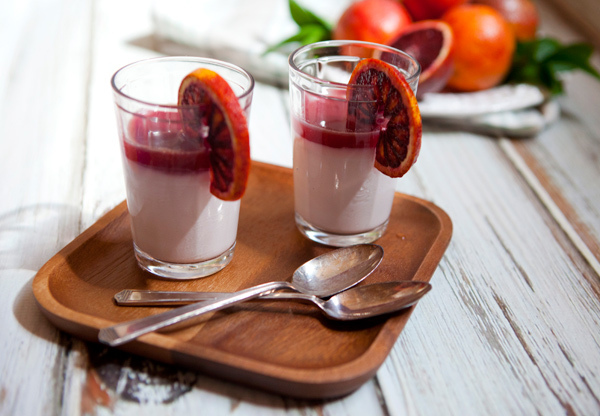 And your blood orange panna cotta looks delish. I will definitely give this a try. Thanks Maureen, I simply cannot get enough of them when blood oranges are in season.